Chiara played Melena in the Stargate Atlantis episode Sateda. She’s a popular voice performer on shows such as Kid v Kat, My Little Pony and Rated A for Awesome and has also appeared in Riverworld, Smallville, Good Luck Chuck and In My Dreams. 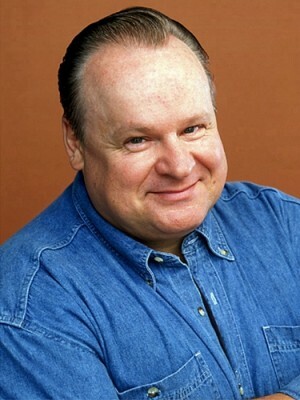 Many happy returns of the day to George Dzundza who rocked Stargate SG1 as Jim in the eighth season episode Threads. He’s appeared in Hack, Greys Anatomy and the original Law & Order. A happy birthday to Chiara Zanni who played Melena in the Stargate Atlantis episode Sateda. She’s been very popular for voice work on shows such as Kid v Kat, My Little Pony and Rated A for Awesome and has also appeared in Riverworld, Smallville and Good Luck Chuck. Happy birthday to Robert Bruce who appeared just the once on SG1 as a villager in the episode It’s Good To Be King. Robert has also appeared in Cold Squad, Just Cause, The Lone Gunmen and Alone in the Dark.